LifeGear is on a mission to help travelers everywhere through innovative, durable, and lightweight products that make travel easier and more accessible. 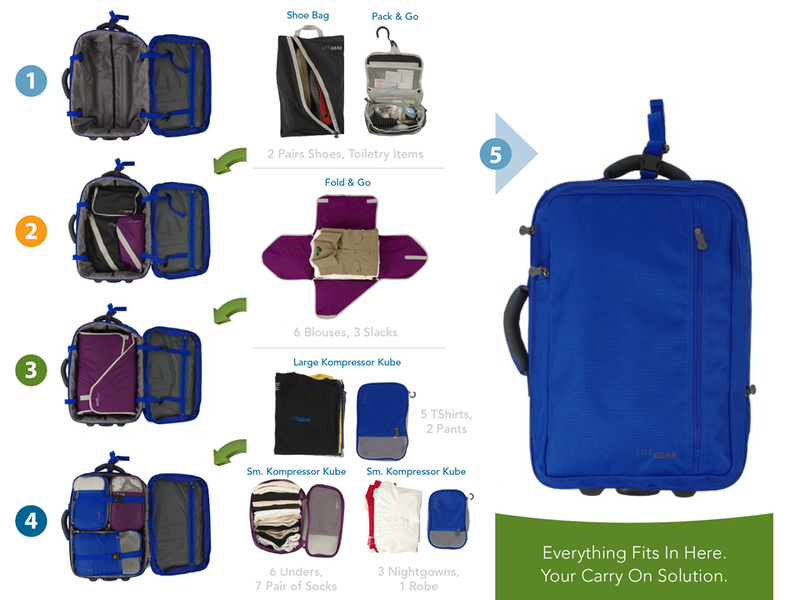 Our flagship brand, LiteGear, offers a wide selection of travel bags, accessories, and tools that work together in a system we call Travel Freedom -- enabling travelers to pack nearly twice as much in our carry-on luggage while helping them avoid checked bag fees, lost and damaged luggage, and other common travel headaches! Flying comes with a lot of obvious conveniences. But it also comes with plenty of headaches. And one of the biggest is space. More travelers are flying than ever, and airlines are working hard to cram even more passengers into their planes. And more bodies on planes means more bags on planes. In an effort to save time and money, travelers are increasingly opting to pack all of their luggage as a carry-on. The problem? Finding an inch of storage space on board has become more competitive, and the game of luggage Tetris even more frantic. What’s been missing is an elegant solution that allows fliers to continue enjoying the perks of carry-on-only travel minus the pain points that come with trying to fit a week’s worth of luggage under the airplane seat or in the overhead compartment. Meet LiteGear: where the journey is as enjoyable as the destination. Our team took on the challenges presented by limited cabin space and lost checked bags, factored in the skyrocketing travel market and consumers’ growing price sensitivity, and created a one-of-a-kind system to allow travelers to pack their entire trip into their carry on bag. The best part? LiteGear is the first and only brand whose bags are compliant with airline regulations for personal items! ONE BAG. EVERYTHING YOU NEED. 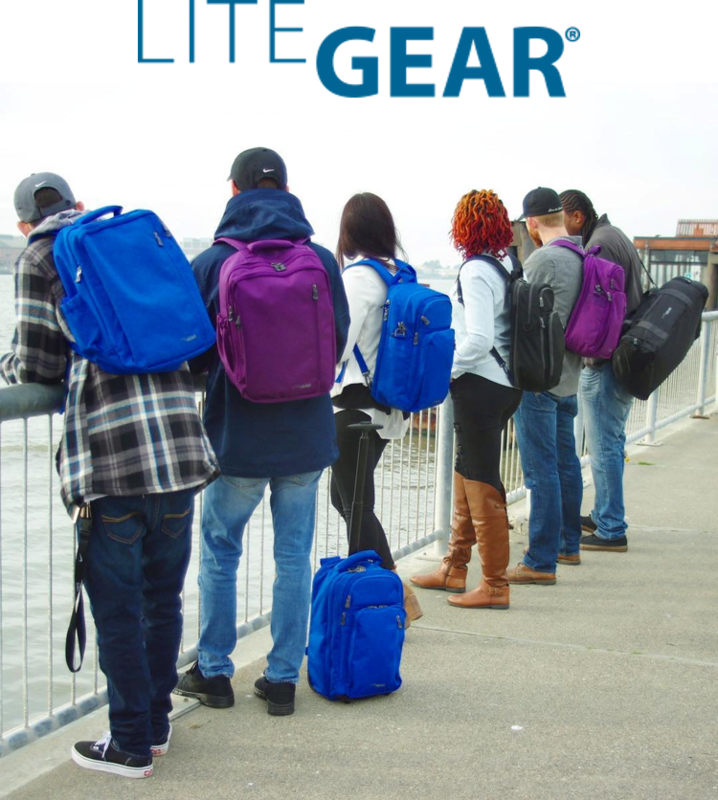 The LiteGear brand is all about making products that fit your daily lifestyle and travel needs, helping you get to where you’re going with just one bag containing everything you need. 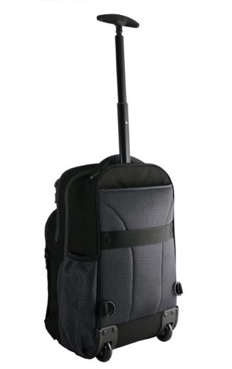 Rolling Mobile Pro | Transforms from a backpack to a rolling bag on a moment's notice, this bag adapts to your needs. 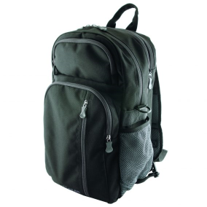 It offers a multiple versatility of carrying options as a backpack, a cross-body or haul handle top of rolling luggage handle. 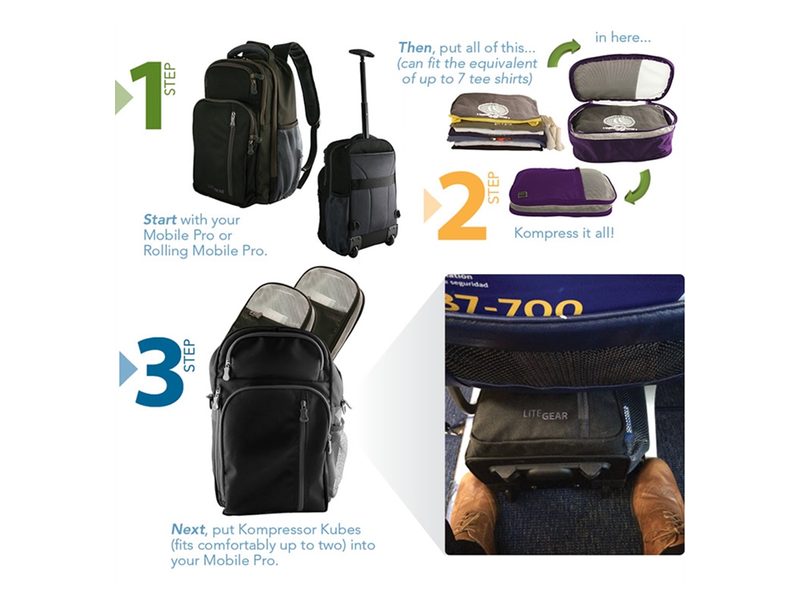 Plus you can fit it under your airline seat with ease! 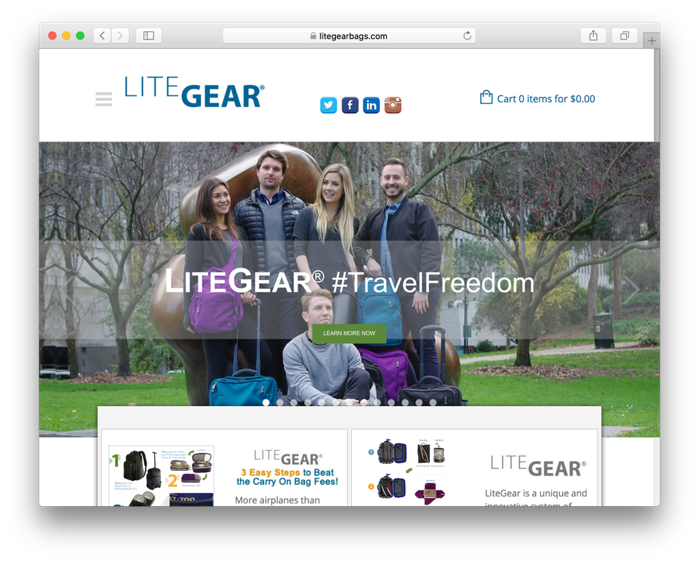 Since the company’s inception in 2013 and product line launch in the spring of 2014, our team has made some incredible strides in our mission to secure LiteGear as the go-to brand for solution-driven travel gear for the modern jetsetter the world over. Approaching Year 5 distributing LiteGear with 50%-100% growth YOY achieved. 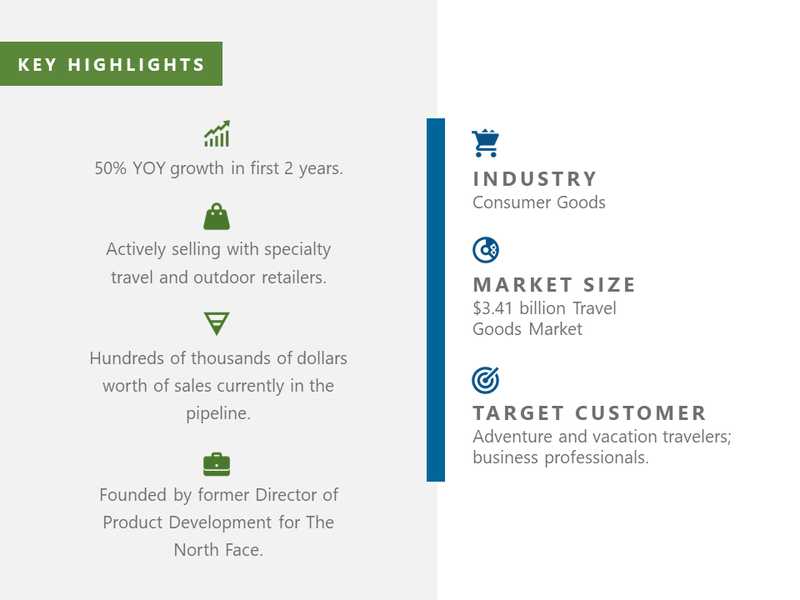 Market penetration in the majority of specialty travel and luggage shops around the country with retail partners including Magellan’s, TravelSmith, and hundreds of AAA stores. Featured on major American flagship shopping channel QVC in Nov ‘17, beating sales projections by 50%. Commitments secured from QVC for future showings with primetime airing in the US and expansion to their international markets, with Germany & UK to start. 1,000+ website views per month. Multi-country supply chain spanning China, India, Italy, Cambodia, and the US -- giving us flexibility in sourcing product based on ever-changing global economic and political climates. Magi Raible | Founder & CEO | 35 years’ experience in all aspects of the Outdoor & Travel industry. Former Director of Product Development & Sourcing with The North Face. Former Co-founder and CEO of Kiva Designs, sold to RG Barry in 2013. Currently sits on the TravelGoods Association Board of Directors. Micah Johnson | Director of Sales & Marketing | 4 years in management. University of Idaho graduate specializing in Marketing, Spanish, and Economics. Draws inspiration from his broad international, outdoor, and entrepreneurial experience to bring a fresh perspective to LifeGear. Marilyn Martin | Controller | 20+ years’ experience in all aspects of accounting and business management. Manages LifeGear’s accounting department and supply chain with a position on the company’s long-range planning team.